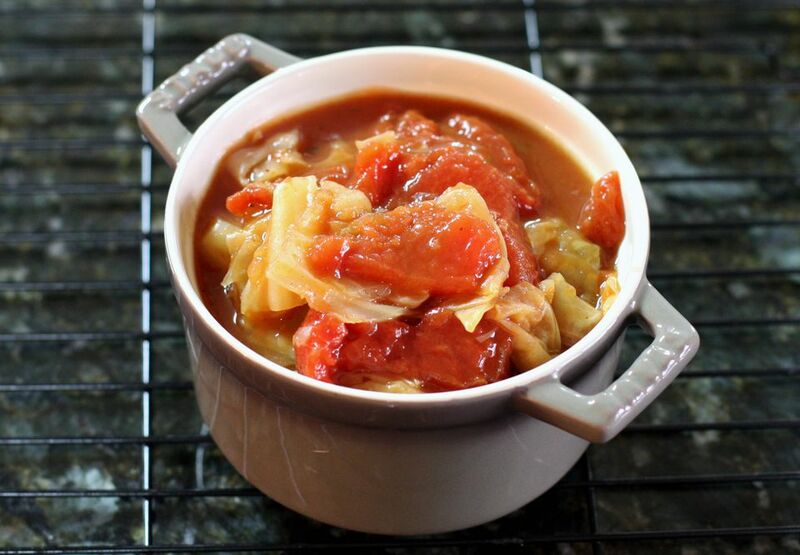 This easy recipe teams cabbage with stewed tomatoes and onion for a delicious and fuss-free slow cooker side dish. Tomato soup along with the stewed tomatoes makes a nice sauce with the cabbage, and the onion and celery salt add flavor. Serve this easy cabbage dish along with a meat or chicken entree. Combine all ingredients in the crockpot; stir to blend ingredients. Cover and cook on low for 6 to 8 hours, or until cabbage is tender.